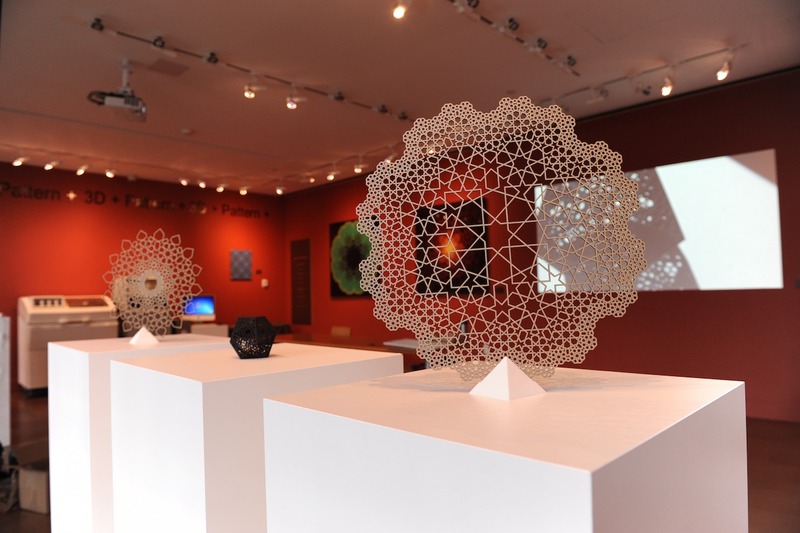 William F. Duffy is a professional sculptor ,he has been a consultant for the CAD/CAM industry and also has taught 3D computational graphics at the college level. 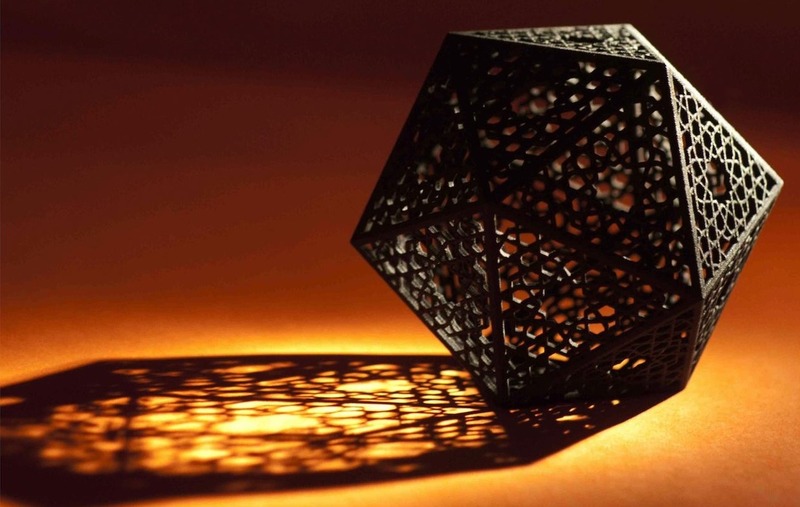 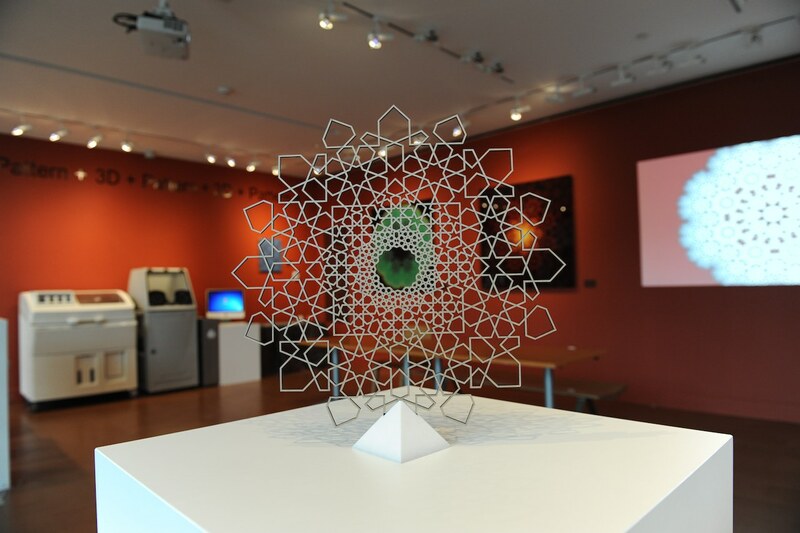 His work investigates 3D computational graphics to define and represent the underlying forms in nature, some of his more recent works include a few highly complex structures, including mathematical models. 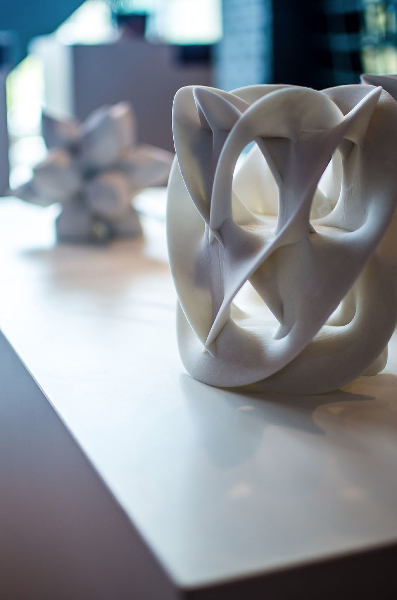 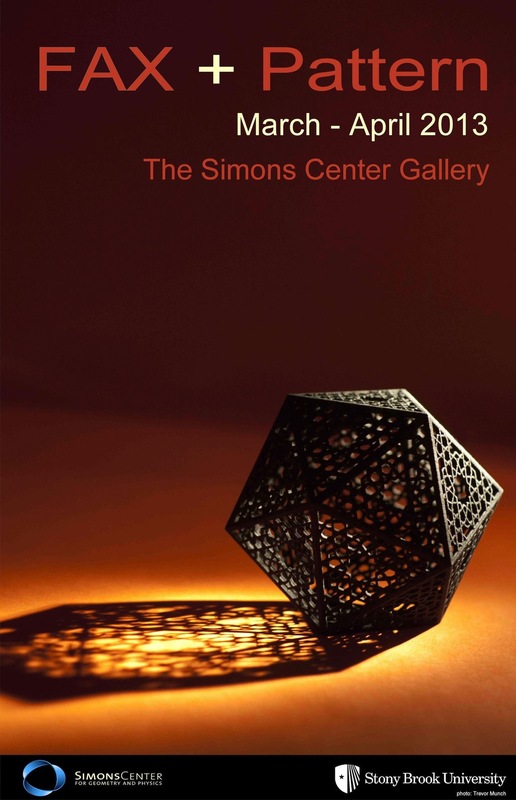 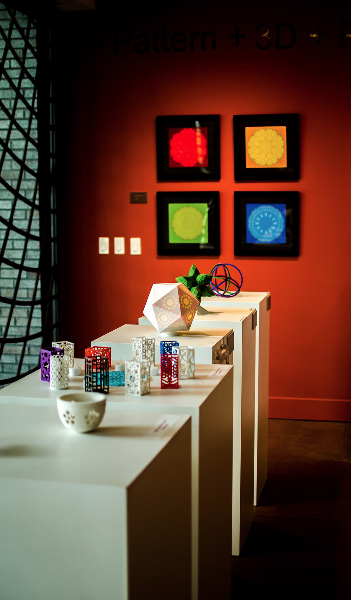 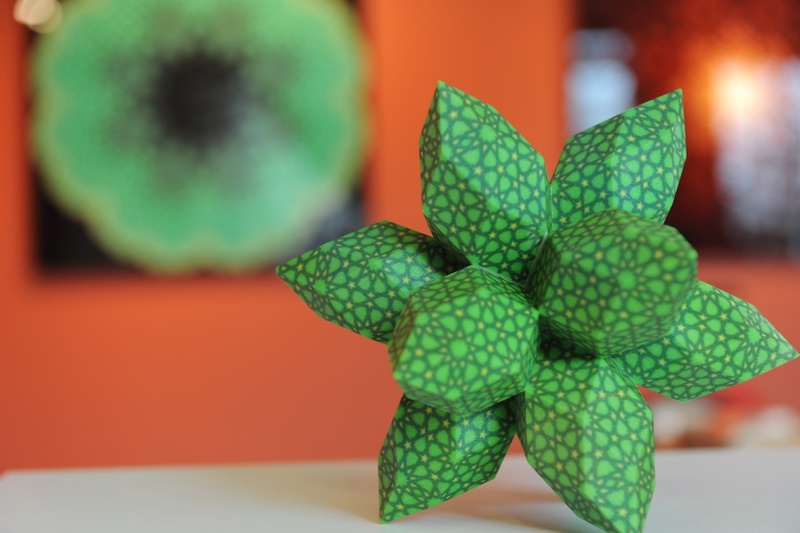 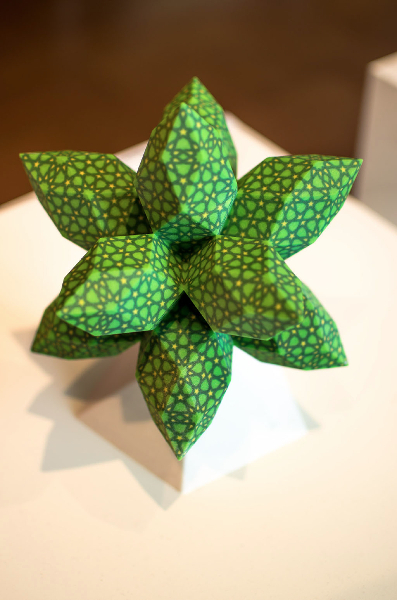 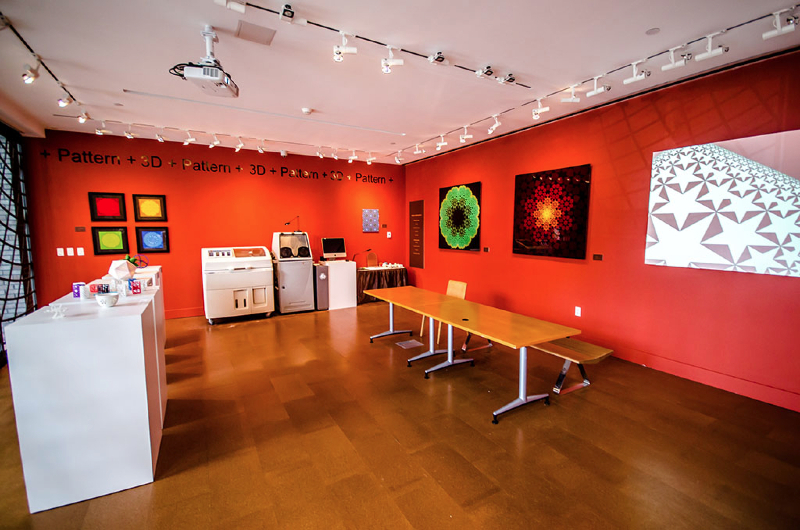 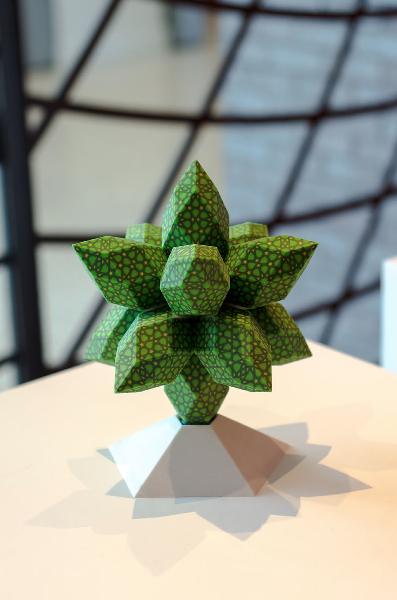 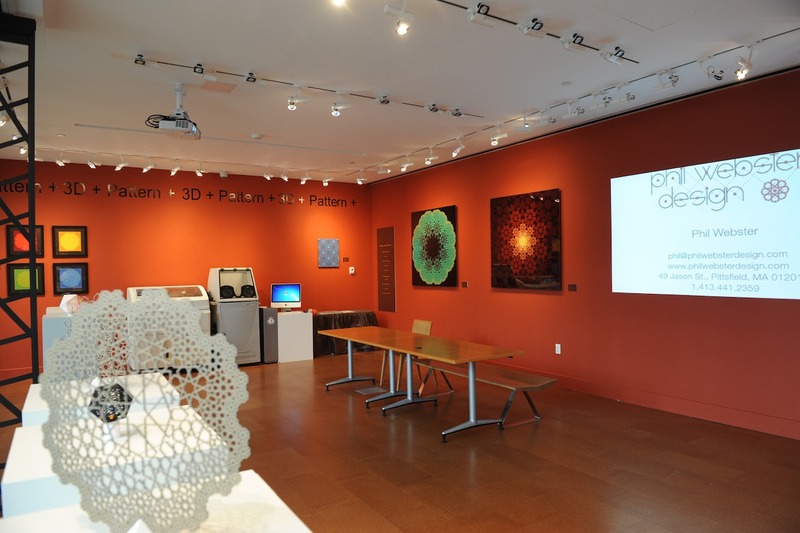 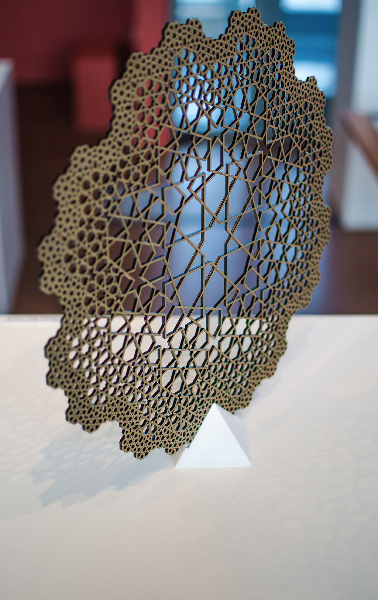 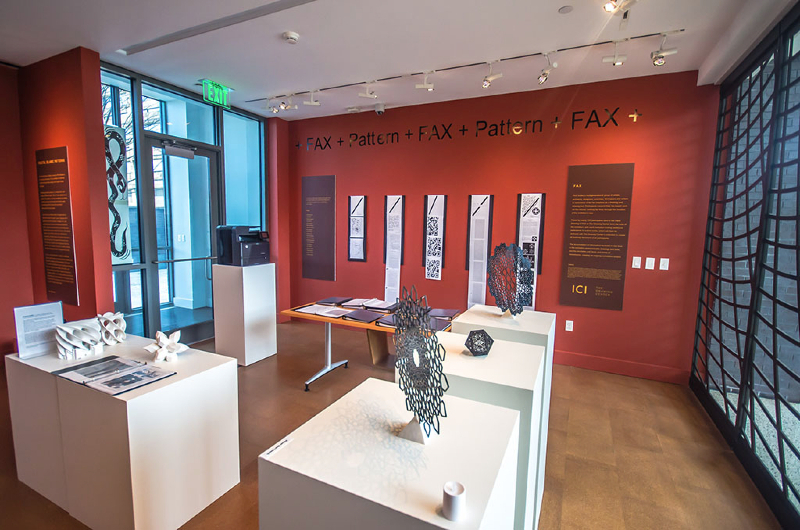 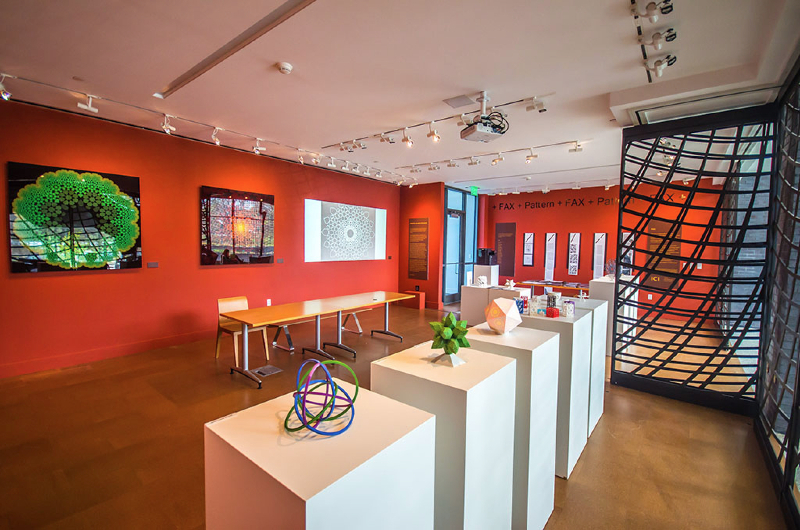 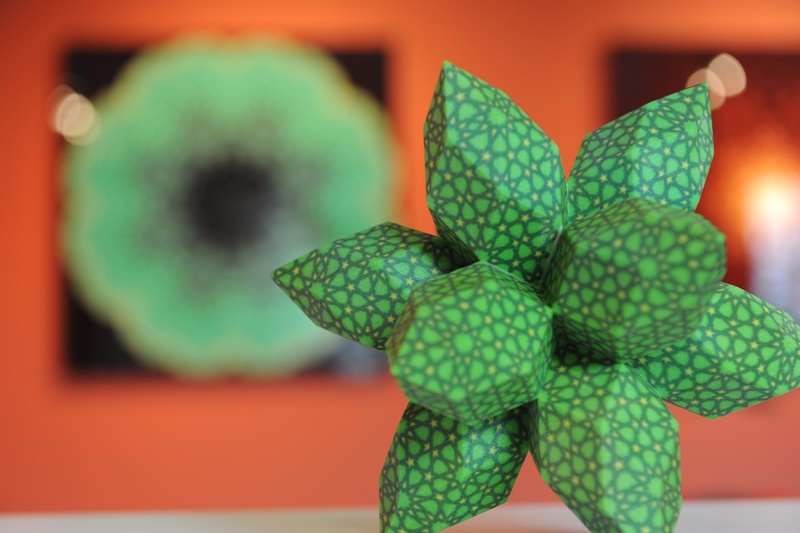 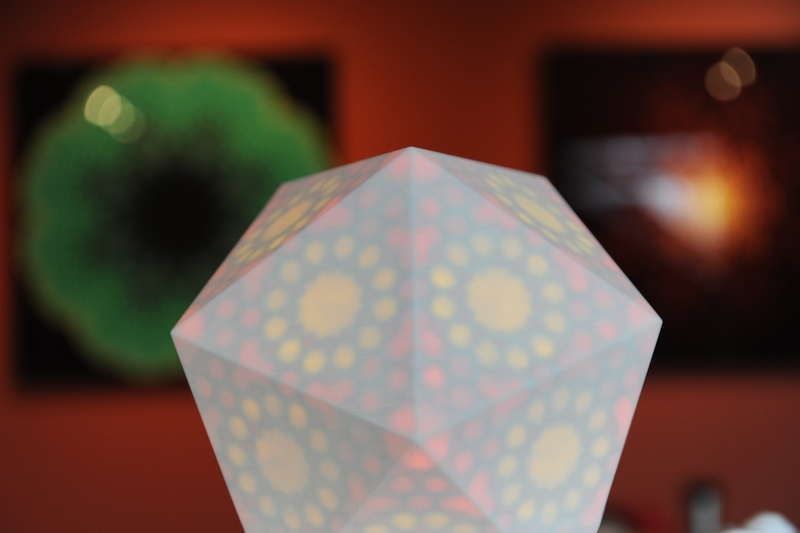 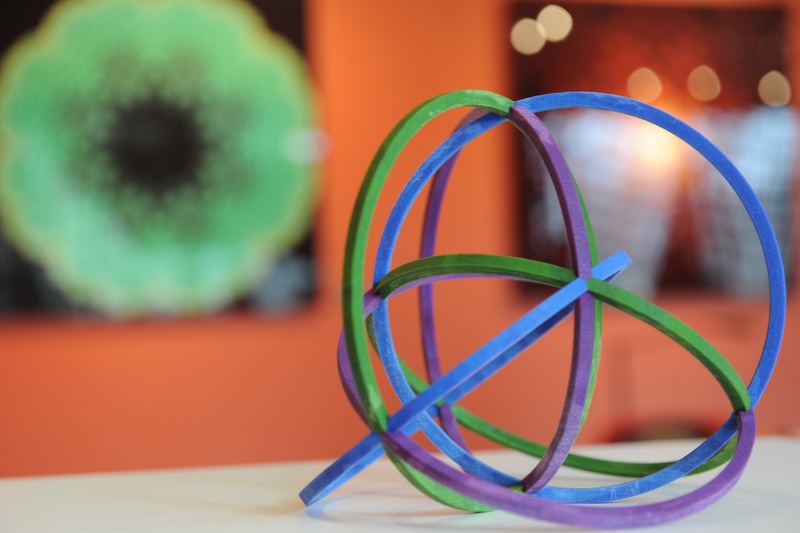 William Duffy’s 3D printed sculptures & FAX works are currently on display at Simons Center Gallery. Read more about William Duffy here. 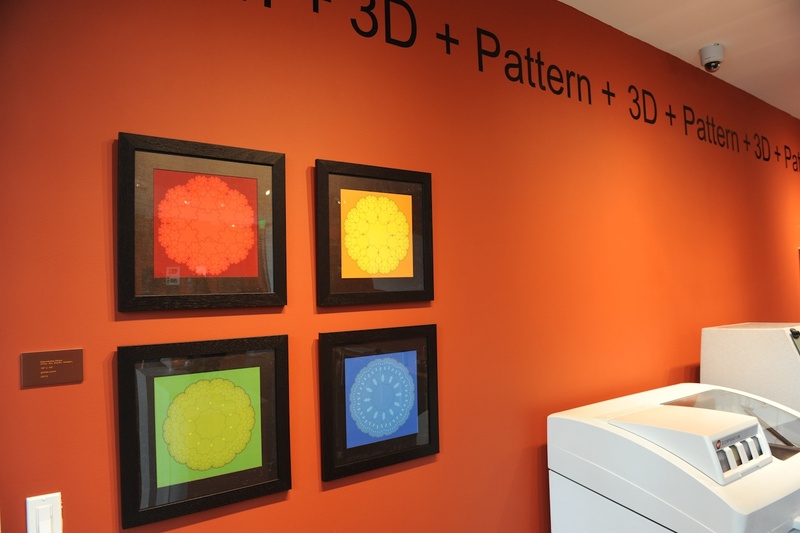 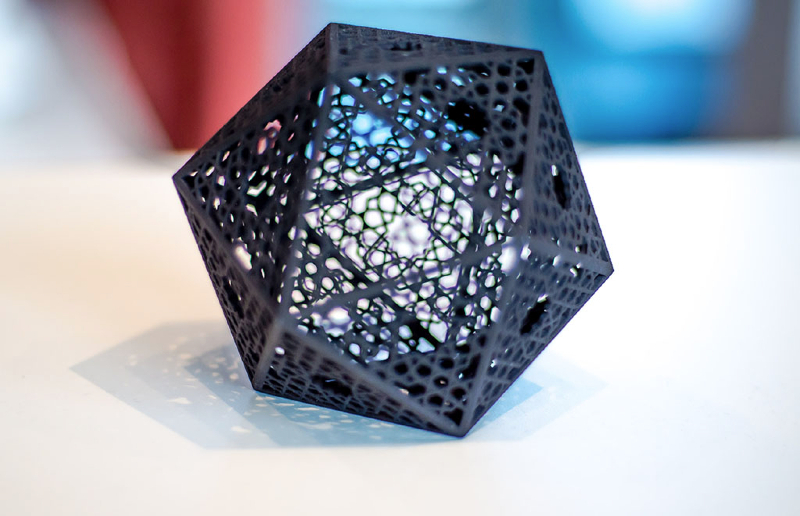 Artist in Residence Phil Webster will be demonstrating 3D printing at the SCGP Gallery, Monday – Friday 11:30 am- 1:30 pm. 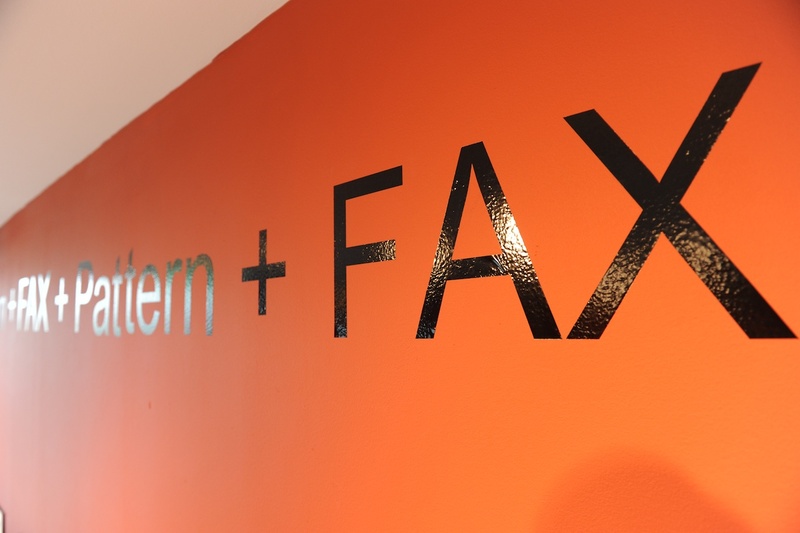 FAX invites a multigenerational group of artists, architects, designers, scientists, filmmakers and writers to reconceive of the fax machine as a thinking and drawing tool. 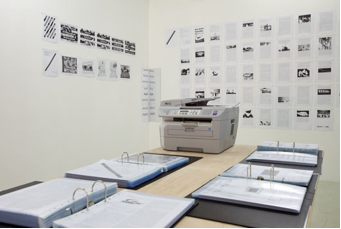 Participants transmit their fax-based work via the venues’ working fax lines through the duration of the exhibition’s tour. 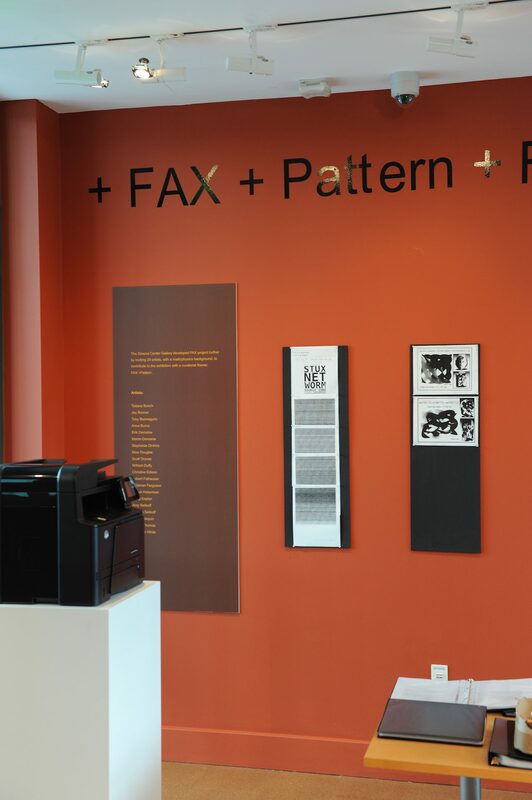 Faxes by nearly 100 participants sent to the initial showing of FAX at The Drawing Center form the core of the exhibition, with each institution inviting additional participants to submit works, which will then be archived with The Drawing Center’s collection to create an evolving document of all participants. 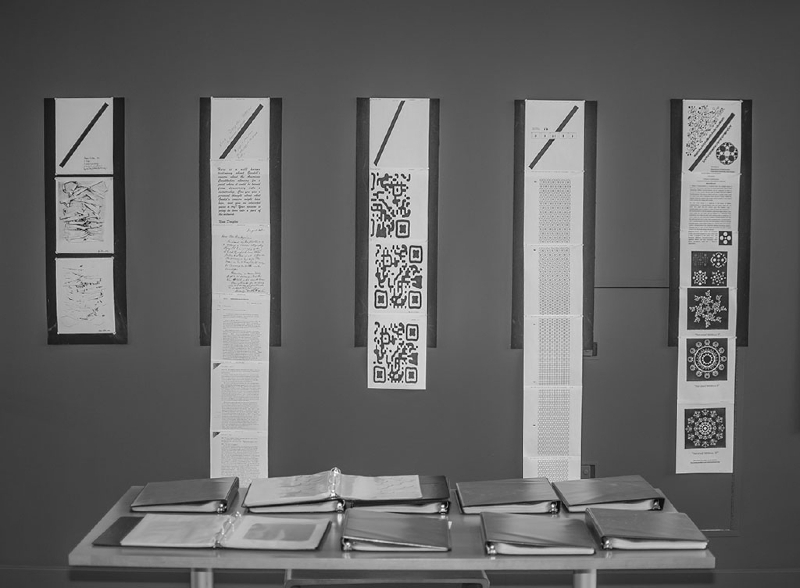 The accumulation of information-received in real time, in the exhibition space-includes drawings and texts, and the inevitable junk faxes and errors of transmission, creating an ongoing cumulative project. 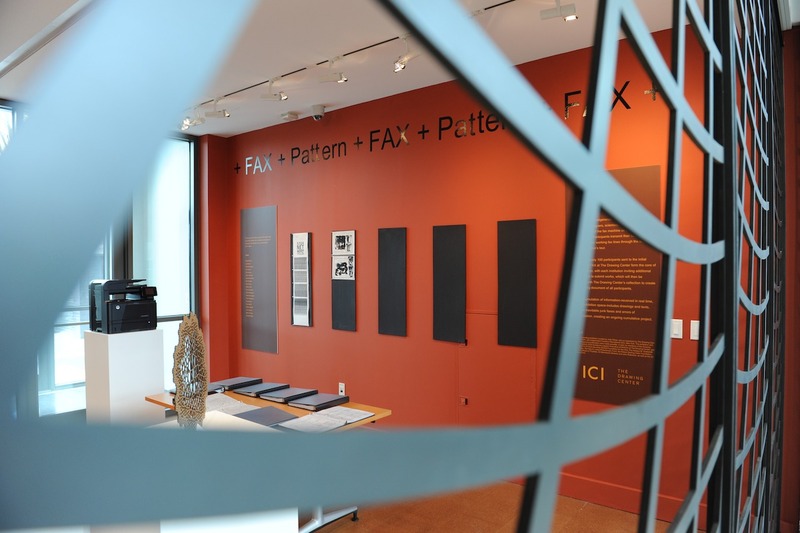 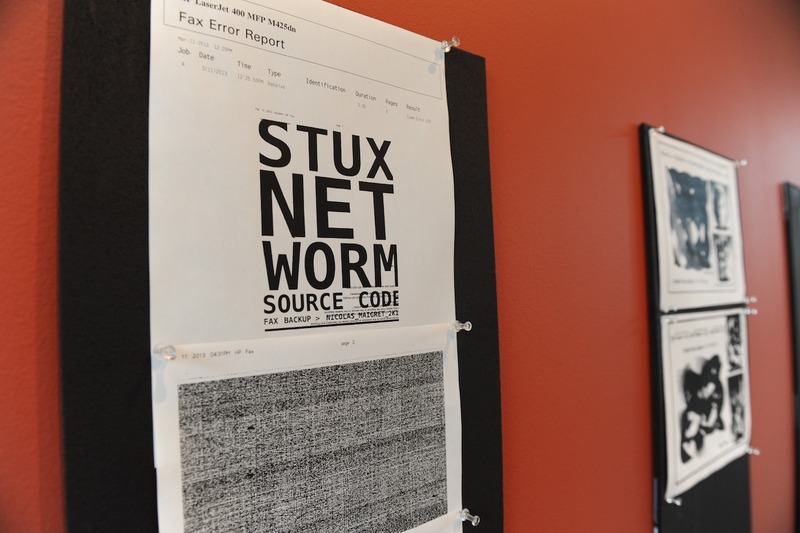 The Simons Center Gallery developed FAX project further by inviting 20 artists, with a math/physics background, to contribute to FAX with a curatorial theme: FAX + Pattern. 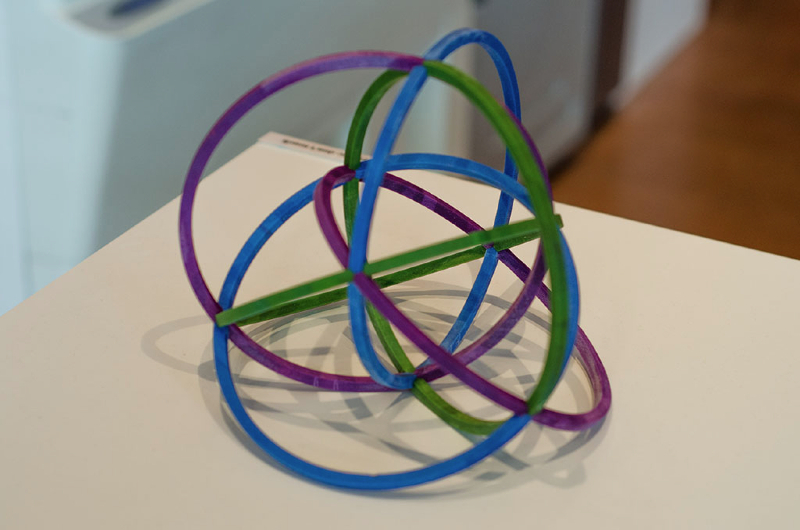 3D printer technology works on the same principle as the fax machine allowing for making copies of an object without physically transporting the original. 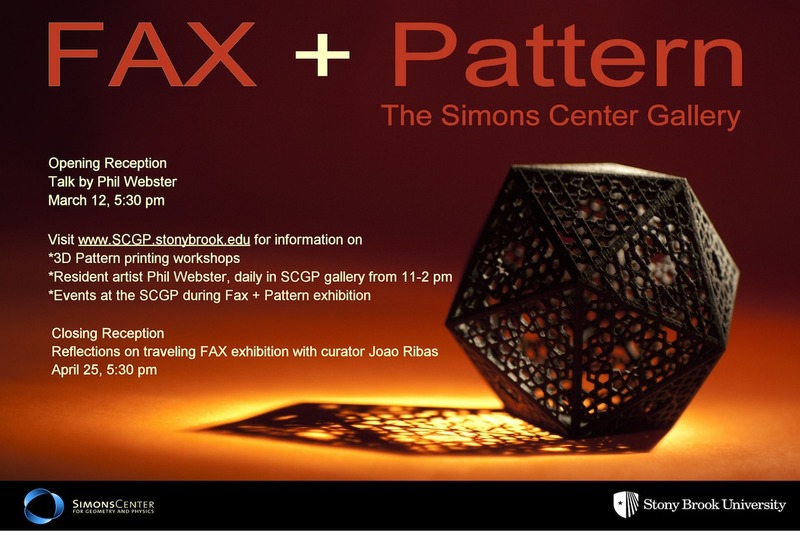 Following artists are exploring both communication tools by having their patterns faxed as well as 3D printed simultaneously in real time in the SCGP Gallery during the March-April exhibition. 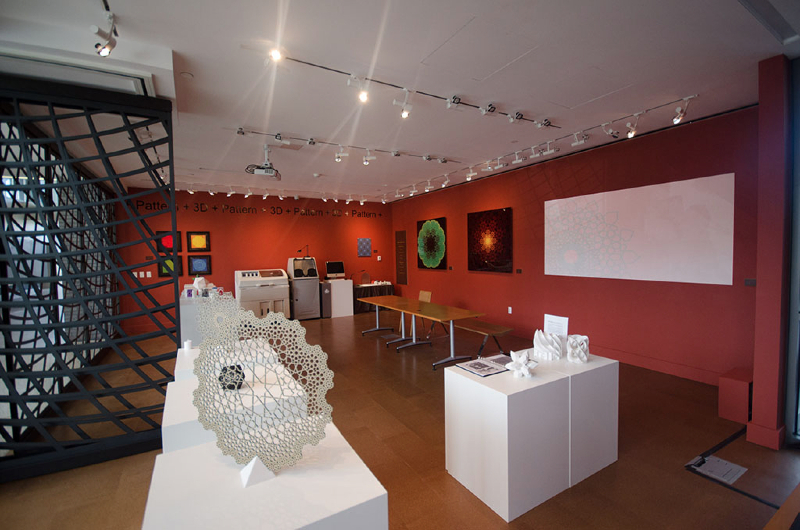 Artists: William Duffy, Nina Douglas, and Phil Webster. 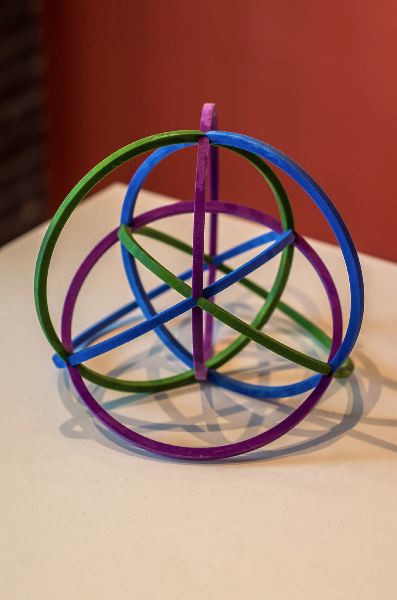 Phil Webster is a self-taught artist exploring the intersections of mathematical patterns and shapes, natural forms, ancient design traditions, and sacred geometry. 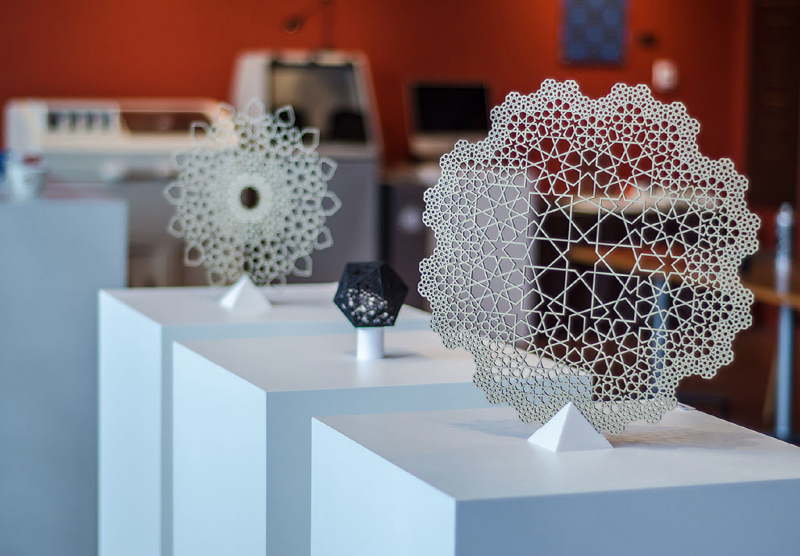 A long-time student of polyhedral symmetries, tessellations, and fractals, he is currently blending these forms with existing traditions such as Islamic geometric art to create modern takes on ancient designs. 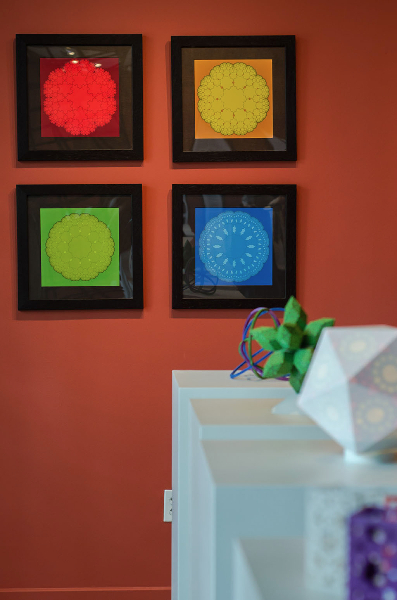 Phil creates his art in several media using a variety of techniques, including laser cutting wood, paper, and acrylic; 3D printing in plastic and metal; and color prints on paper, canvas, and metal. 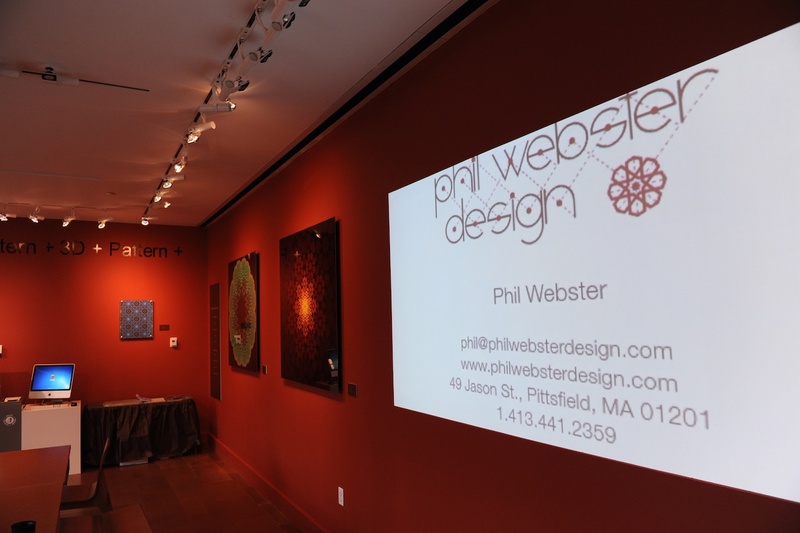 Phil was born in Rochester, NY. 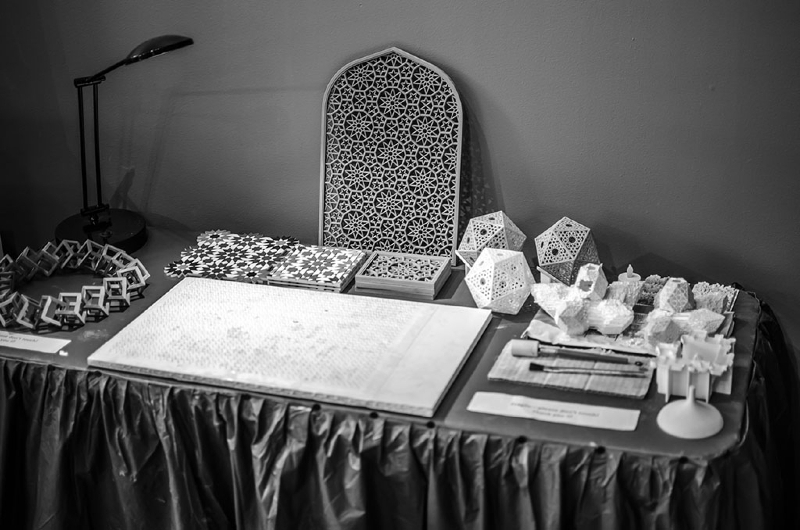 His studies have been in the fields of geometry, cognitive science, music, cartography, and computer science. 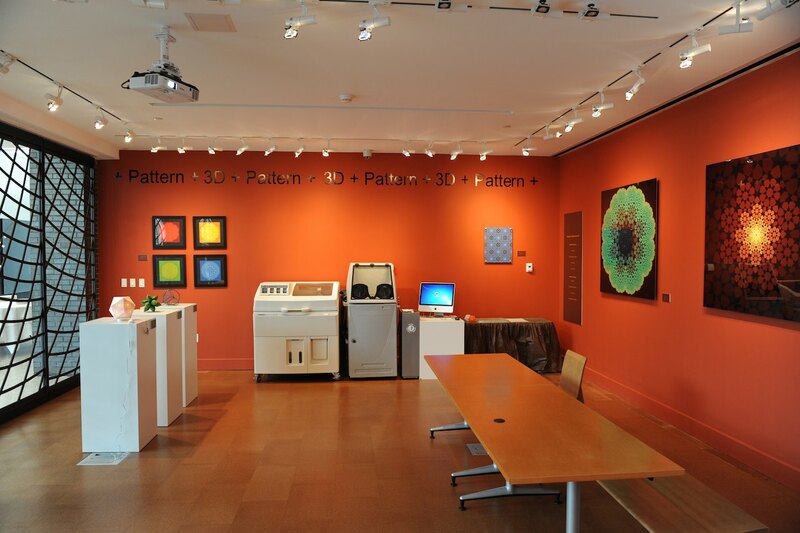 The common threads running through these fields inform his art and design today, including the appreciation of technological tools, aesthetics and design skills, and mathematical and programming skills. 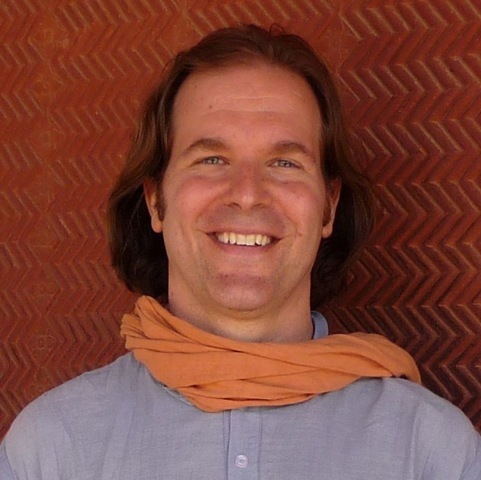 Phil studied math at MIT before opting to complete his BS there in Brain and Cognitive Science. 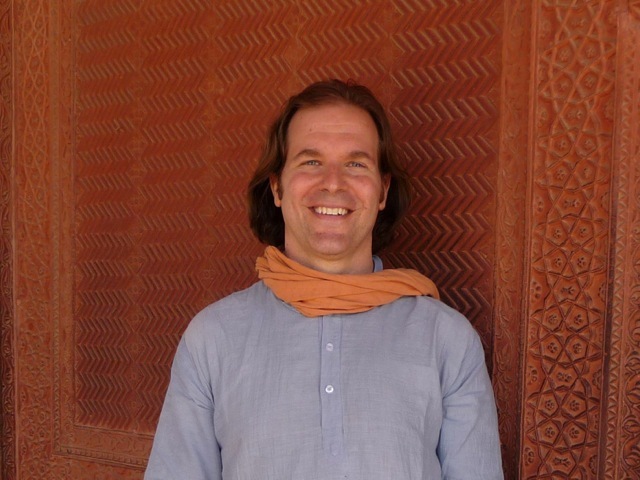 He also studied cognitive science at the graduate level at the University of Michigan and jazz composition and voice at Berkley College of Music. 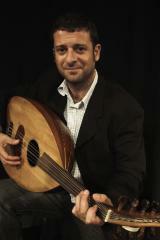 He currently resides in the Berkshires of Massachusetts with his wife and cat. 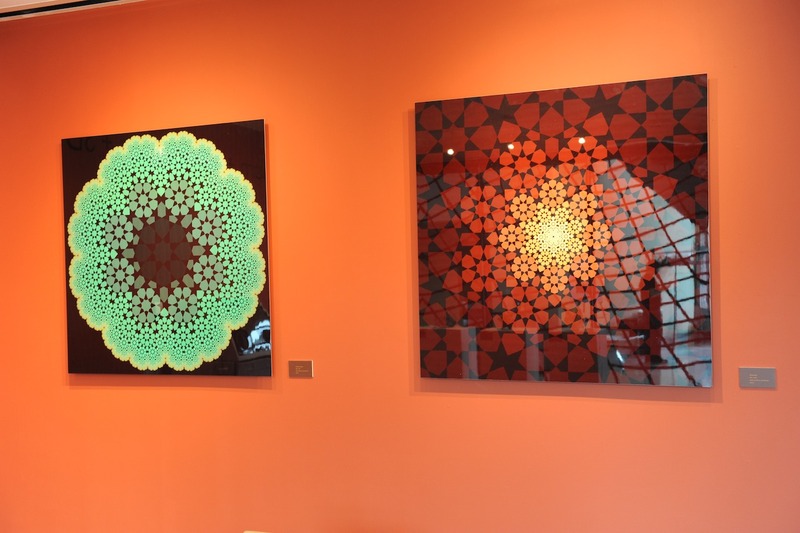 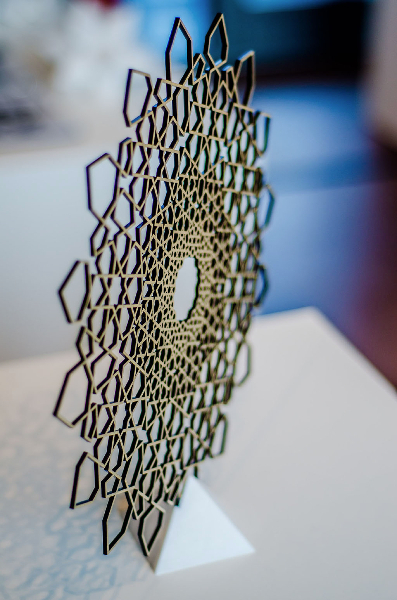 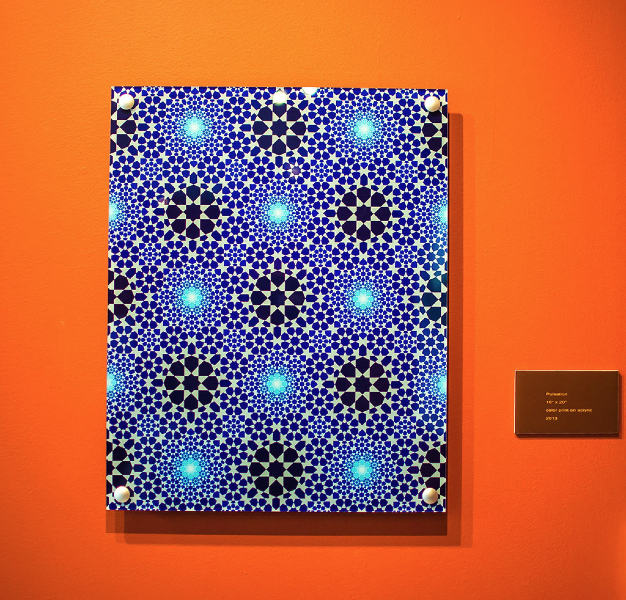 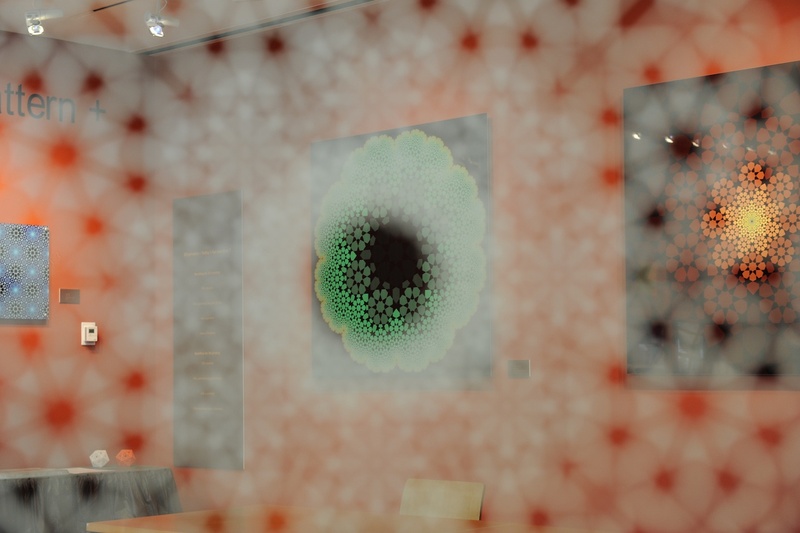 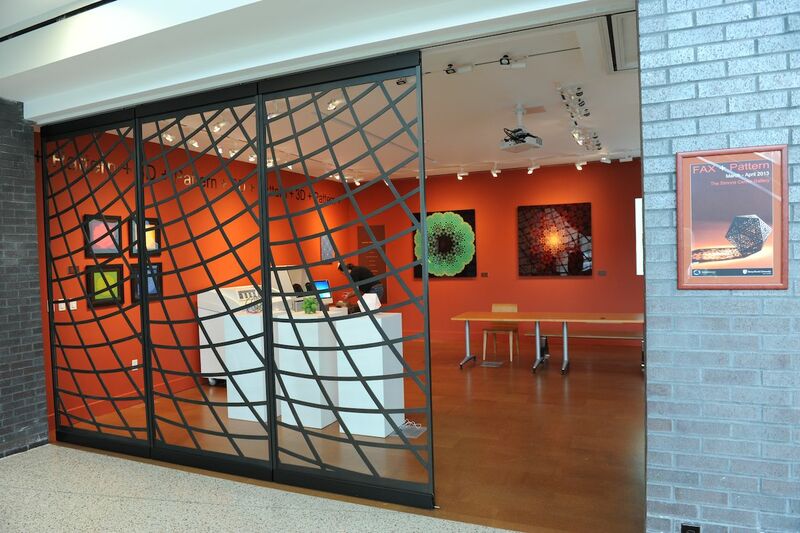 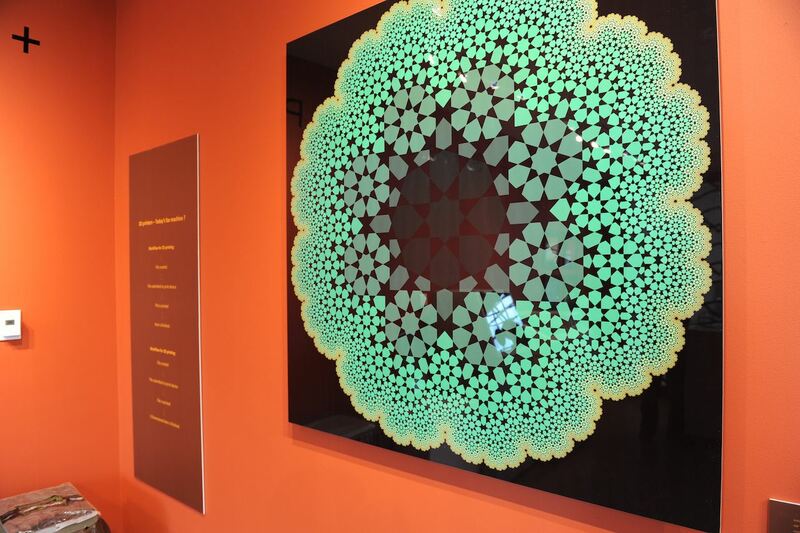 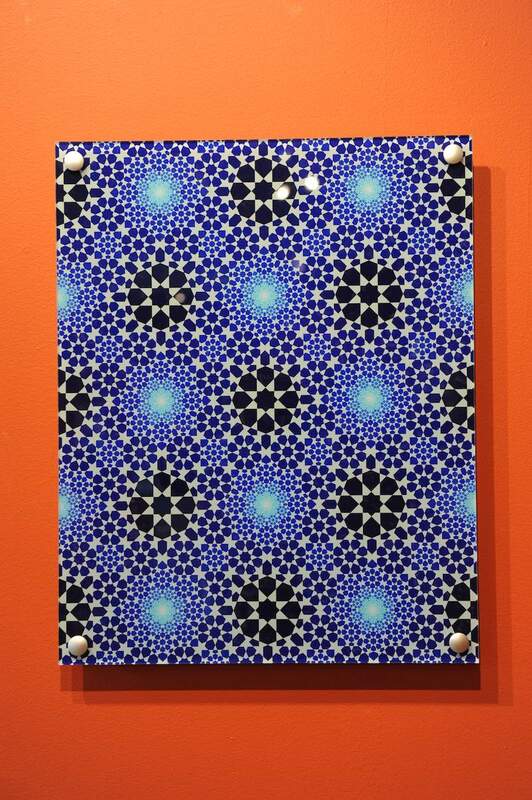 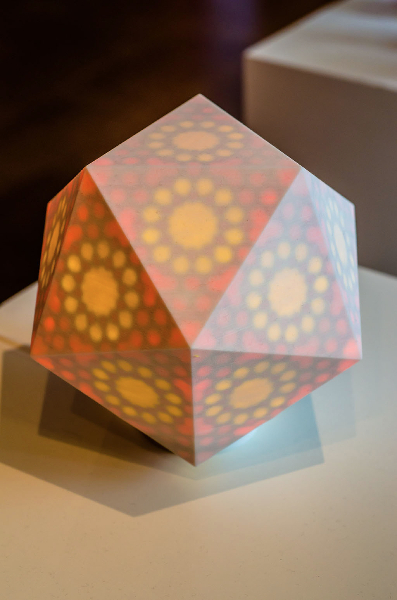 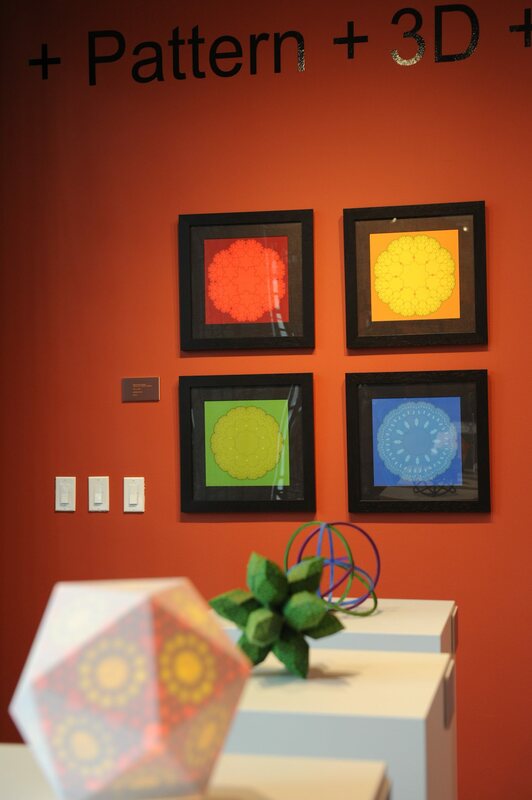 Artist -in -Residence Phil Webster Fractal Islamic Pattern designs on view during the March- April exhibition. 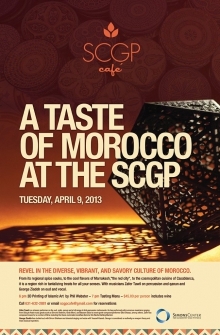 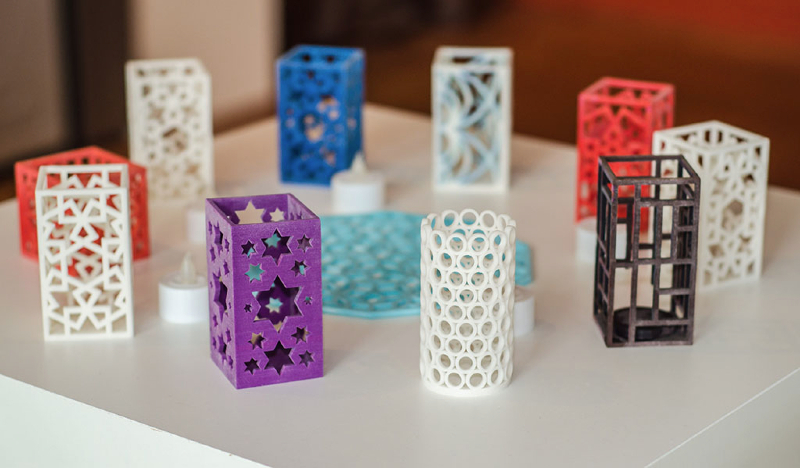 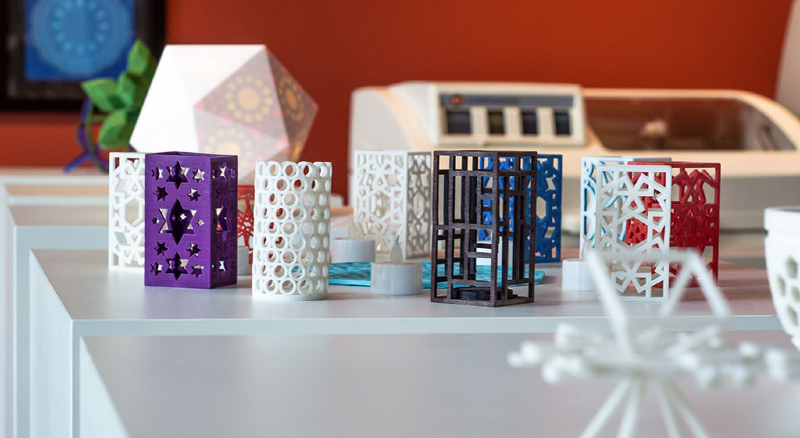 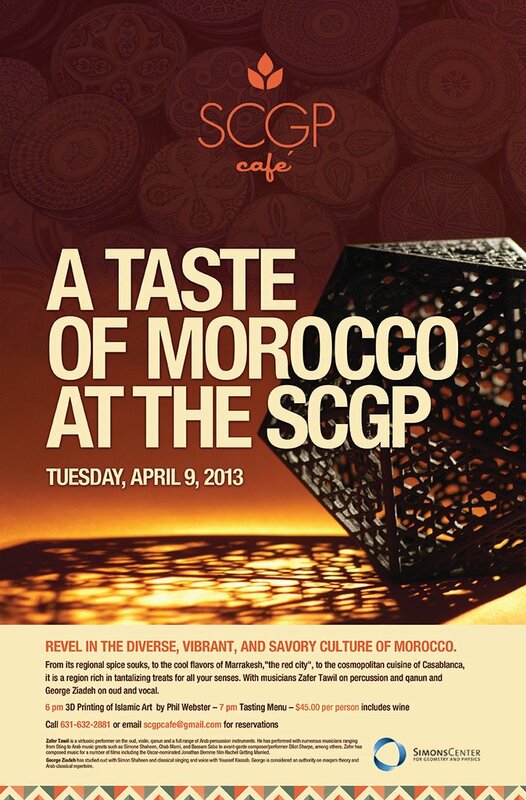 Tuesday, April 9, 2013 – 6-7 pm:Islamic patterns 3D printing demonstrations, – 7 pm : Moroccan Tasting Dinner at the SCGP Café with live music by Zafer Tawil and George Ziadeh.